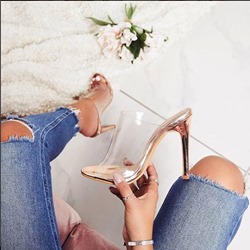 Mules shoes are the popular choose for women to wear dresses or jeans, whether a floral adorned flat, a chunky heel, or a sleek stiletto, the new mule is something women will want to slip into. 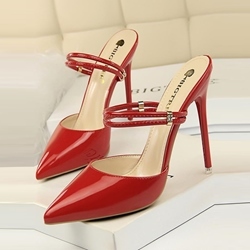 Shoespie offers all styles and color mules shoes for women, including high heel mules, platform mules and leather mules with red, black, white or other color you want. 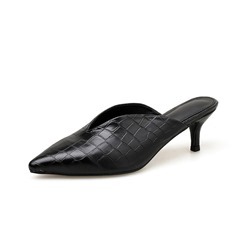 You can without any difficulty find these mules shoes according to popular design at Shoespie.com. High quality mules shoes with discounts online will make you enjoy your shopping. What are you waiting for? Hurry up to get one pair for you!!! Buy uniqueMules Shoesfrom Shoespie by price. There are several different price ranges of women shoes with affordable prices. Here you could find the high qualityMules Shoesfrom to with perfect good looking styles that you have ever seen. 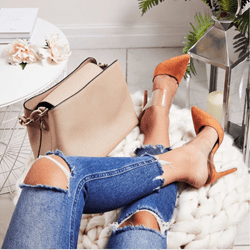 Shop by prices will help you save much money to take hotMules Shoeshome. As all beautiful shoes are shown with best-selling and many positive reviews for you to choosefrom $ to . comfortable and make you look so cute when you have them on. definitely recommend to you. Preciosas sandalias. Más bonitas que en foto. Calidad muy buena. Cómodas y ligeras. Recomiendo totalmente. I have never written a review before but felt compelled to do so with these sandals. They were true to size. 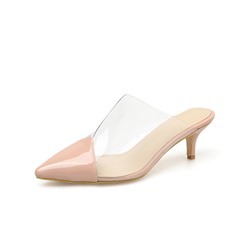 The heel height is pefect. High enough to look elegant but low enough to walk in. Will buy again without hesitation. 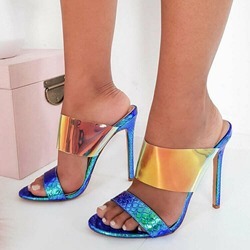 These are great sandals, they look good and are easy to walk in even though I'm picky about heels that I am comfortable with.Have 2 in different colours now. These shoes are amazing and they fit perfectly... they are a little tight as are most shoes when they are new so I wore them with socks around the house to loosen them out a bit after that they where fine. I am in love with them. These fit perfectly. The quality is better than I expected for the price and they are better made than some shoes that are more expensive. Very satisfied with this product. Definitely I will buy again from this site.